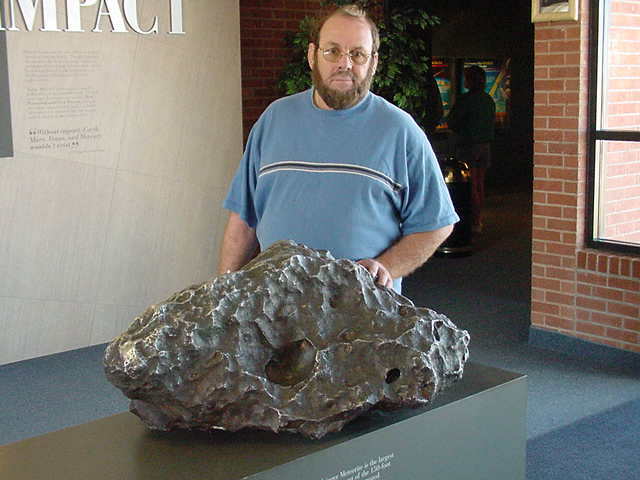 From the state of Oregon, this is the largest meteorite found in the United States and the sixth largest in the world. Iron-nickel meteorite, composed of 91% iron, 7.62% nickel, and a small percentage of cobalt and phosphorus. 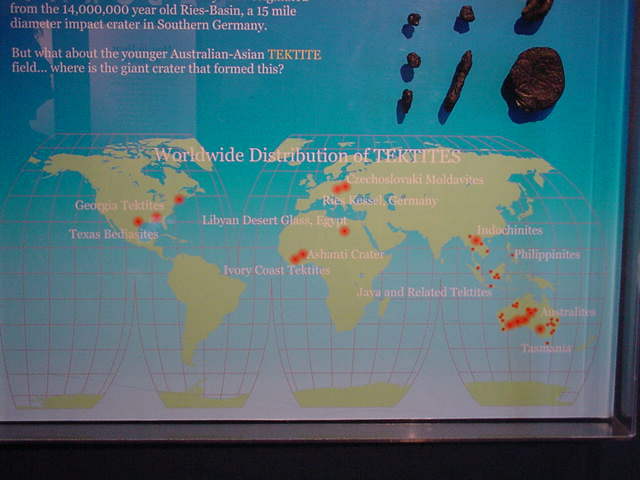 Now on display at the American Museum of natural History in New York. Another meteorite field was found in 1836 by English Army Captain/Explorer Sir James E. Alexander, but it was already well known and used by native people for tools and weapons before this as they picked pieces from the strewn field. Classified as a fine Octahedrite IVA 7.93% Ni, 0.41% Co, 0.04% P, 2.0 ppm Ga, 0.12 ppm Ge, 2.3 ppm Ir., iron meteorite (the English version: 90% iron, 8% nickel, 0.4% cobalt and 0.04% phosphorus. #X-4. 0.7 gram, 5/16" across. 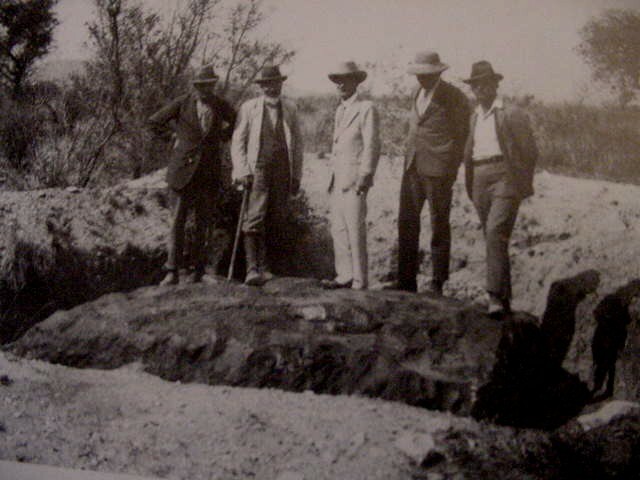 Hoba Iron Meteorite, the biggest single meteorite known, is still in the ground in Namibia, Africa. Estimated at 66 tons, part had rusted away - it may have been 110 tons. 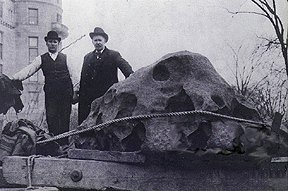 Photo from 1920's; this is an ataxite form of meteorite. WHATTAROCK FROM SPACE! Note: we can do pendants of any of the slices below for an additional $5. Keep in mind, however, that the 3/16" thick pieces make them heavier than they look. Box is 4-3/8 x 3-3/8 x 7/8" thick with glass window. 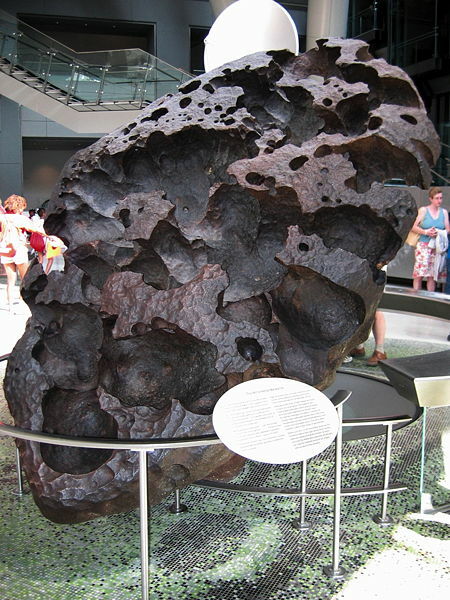 Discovered in 2000, #869 is one of the biggest meteorite finds from North West Africa. It's made of thousand of fusion-crusted parts being as small as an ounce to over 50 pounds, with a total weight of 7 metric tons that has been recovered. Classified as fragmental breccia stone Chondrite L-5 Type L3-6, Regolith Breccia, from Morocco, Algeria. 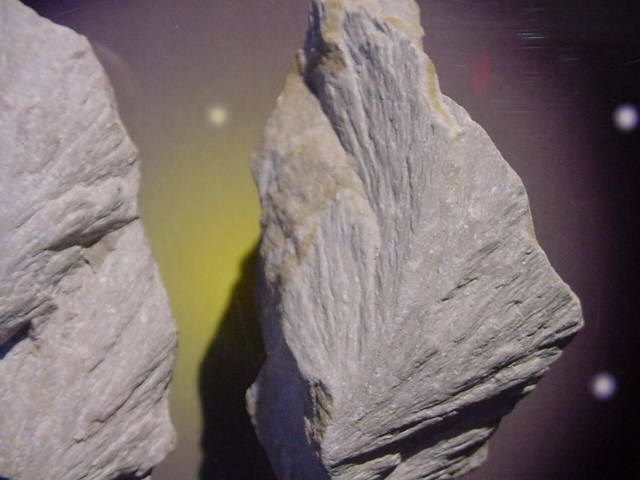 Found in 2000, near Tindouf, Algeria. This NWA 4293 meteorite is from a recent (2005) find in the Sahara desert of Northwest Africa and weighs 69.0 grams! An exceptional group with nice dark crust. This is an H6 chondrite with a weathering grade of W2-3. NWA 4293 meteorites are strongly shocked with an S5 rating. In 1997 January, an unknown mass of material, possibly broken apart from a single large stone, was sold to meteorite collectors by nomads near the town of Mhamid, Morocco; this material has since been resold under the names Mhamid and Hamada du Draa. 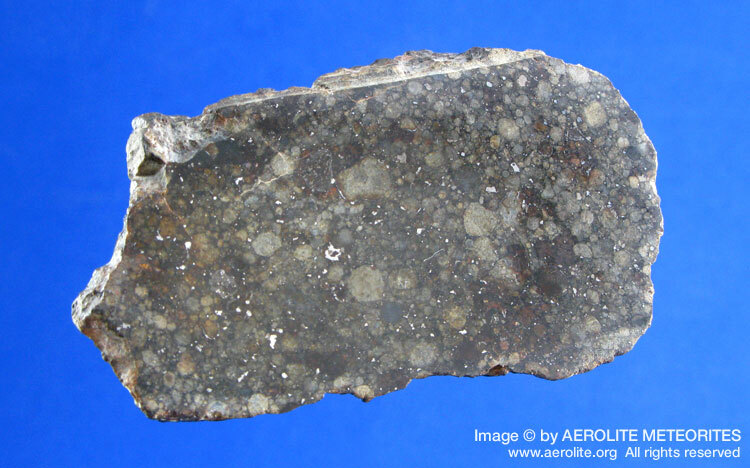 The nomads claimed that this meteorite was found to the south, in Algeria (~29º50'N 5º50'W), in the direction of a fireball seen in 1995 January. 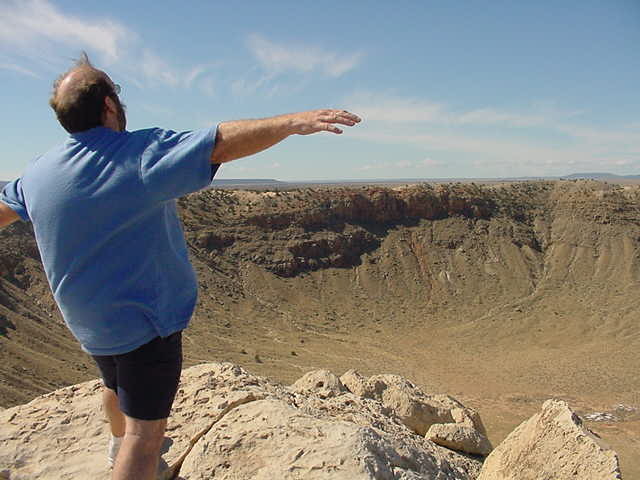 In 1997 September, the same nomads shipped a fragment of a meteorite that they claimed was seen to fall on 1997 August 10 to Mr. Edwin Thompson. In 1997 November, Thompson traveled to Mauritania and collected six fresh-looking stones totaling ~200 kg (individual masses of 80, 51, 30, 26, 8, and 4 kg) at the base of the El Hammami Mountains in Mauritania (1000 km southwest of Mhamid, Morocco), probably in the place where they fell; fragments of these have been sold by Thompson and other dealers under the name El Hammami. Classification and mineralogy of El Hammami stones (A. Rubin, UCLA): olivine, Fa18.8; pyroxene Fs16.7Wo1.4; shock stage S2; contains metal veins; petrologic type 5. Classification and mineralogy of Hamada du Draa stones (D. Weber, Mün): olivine, Fa19.2; pyroxene Fs17.4; shock stage S2; contains conspicuous metal-rich veins; petrologic type 5/6; some of the material appears weathered and rusts easily, but the bulk is quite fresh. Specimens from El Hammami stones: ~100 kg, Thompson; type specimen, UCLA. Specimens originally called Hamada du Draa are now scattered in private collections, and some may remain in Morocco; type specimen, ~1 kg, Mün. Because all of the above-described material seems likely to represent a single fall, the name El Hammami shall be the official collective name. Mhamid and Hamada du Draa should be considered only as unofficial synonyms for El Hammami. The total known mass of material is probably ~240 kg. Iron-nickel meteorite that fell about 5,000 years ago near Henbury Cattle Station outside of Alice Springs in the Northern Territory of Australia. Discovered in 1931. 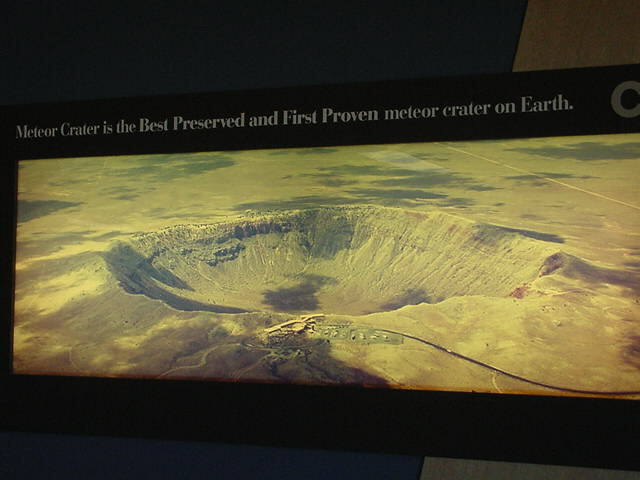 The original meteor was estimated to have weighed several tons before disintegrating prior to impact, leaving visible 13 craters, ranging from 30 to 700 feet wide. Location: Southern Province, Zambia, 15º 58' S, 27º, 21' E.
Fell: 1950, October 5, 04:10 hrs. Description: A shower of stones fell over a considerable area including the villages of Chizuni and Chiteba. Mineralogy, olivine FA25. Analysis, 21.6% total iron. 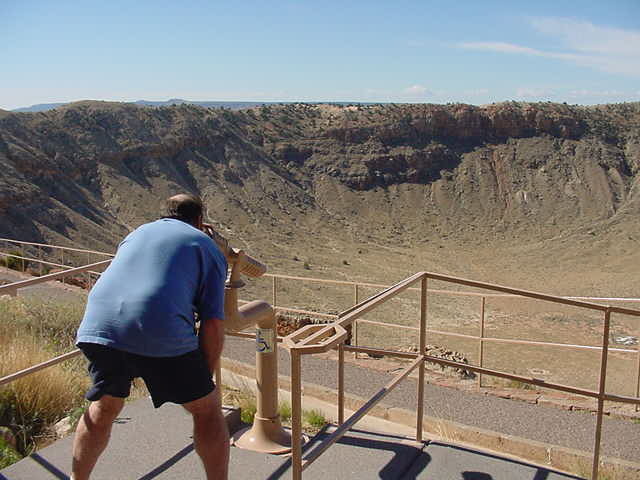 Canyon Diablo, Arizona's famous Meteor Crater, is North America's most famous meteorite site. 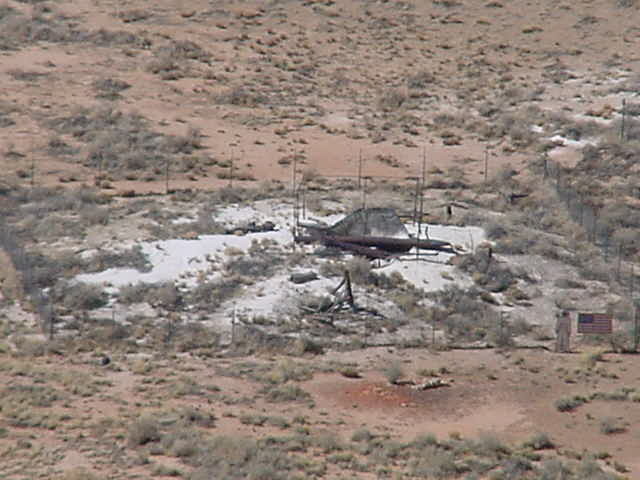 In Coconino County, Arizona, it was identified in 1897. 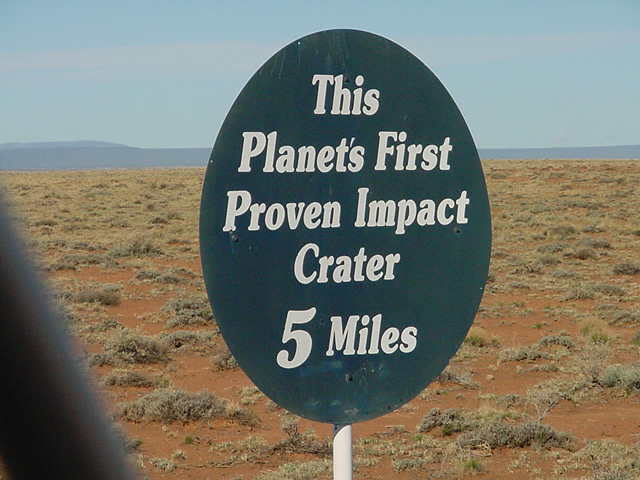 4-5 billion years old, it fell to earth 35-50,000 years ago and left a crater 3/4 of a mile across. 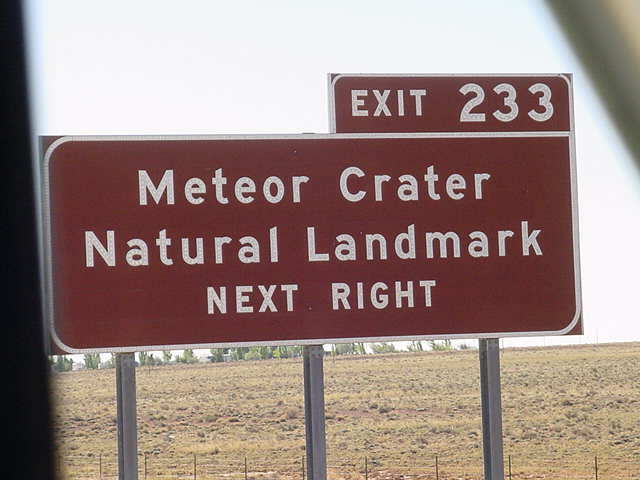 The original meteor actually vaporized from the impact, but 30 tons of meteors have been recovered in the large strewn field (now illegal, protected land). Composed of coarse iron (IA) Octahedrite, it is 92% iron and 7% nickel. What a piece of history! Click on the link below to see an animation of what the impact is believed to have looked like! Most can be made into a simple pendant for $5 more, just ask! #X-108 Slice, flat both sides, polished one side and 2 cut ends; weighs 180 grams; measures 2-7/8" long x 2" wide x 3/8" thick sloping to 3/16" thick. 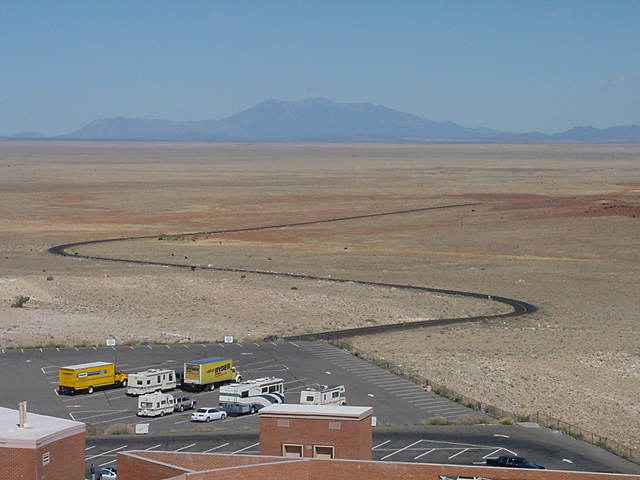 Below is our stop east of Flagstaff, Arizona, near Winslow at the famous Meteor Crater. 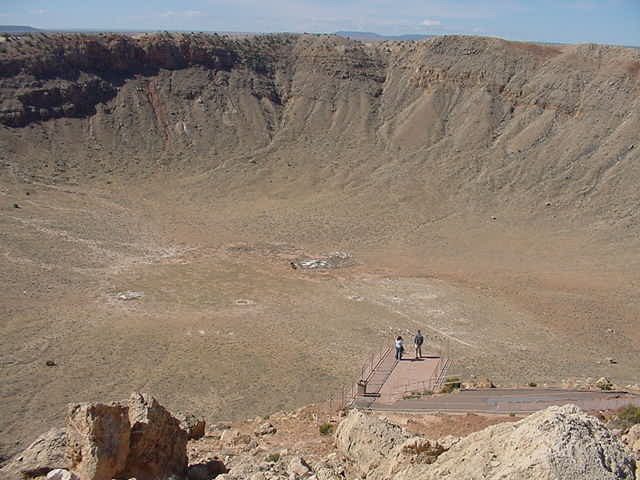 Large fragments have been found, yet one man spent his life's fortune and energies digging at the center and all around the crater trying to find the main meteorite. 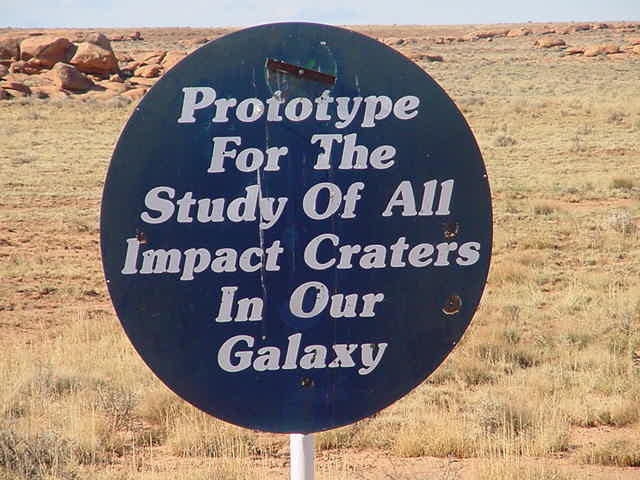 It turns out the impact was so violent that the main meteor vaporized. Equipment was finally abandoned at the bottom (it's soooo far down, it's hard to comprehend from the photos). 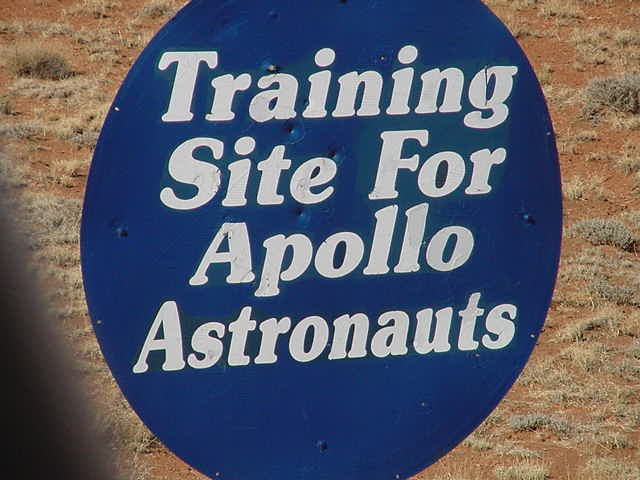 You will see a cutout of an astronaut figure on the right side of the tenth picture, showing where the astronauts have trained. 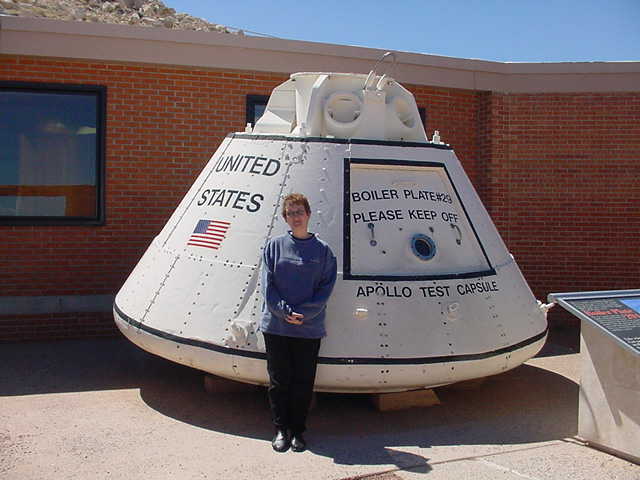 Also see the test capsule there at the Visitor's Center. It was so windy, they closed down the rim after we stepped back inside the Visitor's Center. Also note the "road from nowhere to nowhere" that we came in on. 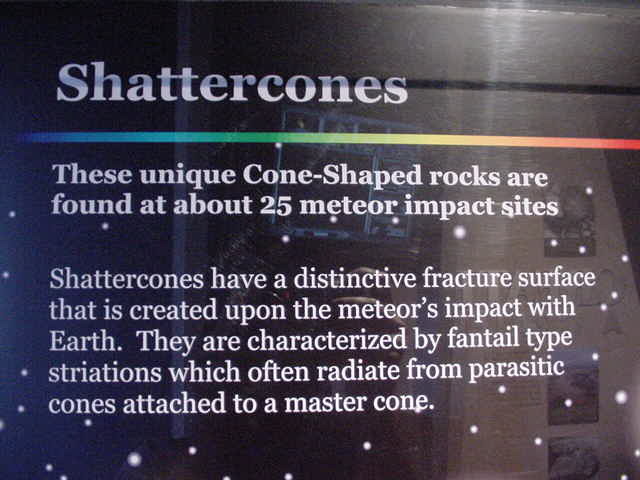 This meteorite fall was recorded in the year 1516 (sightings of falls are rare). "During summertime in May of Jiajing 11th year, stars fell from the NW direction, 5-6 fold long, waving like snakes and dragons. They were bright as lightning and disappeared in seconds." From Lihu and Yaozhai towns, the Ladan and Baya area, Nandan County, Guangxi, China (25.1 N/107.7 E), the strewn field covers an area 17 miles long x 5 miles wide. Made of Iron 92.35% (Fe) and (Ni) 6.96% (iron & nickel) and 10 + other rare minerals including kamacite & taenite, this is coarse octahedral IIICD iron meteorite. During China's Industrial Revolution (1958), common people were told to find all iron to be melted down for the steel furnaces for the New China, even using their pots and pans. People picked up these rocks, but could not melt them. Geologists were sent to investigate, discovering this large strewn field of genuine meteorites, then finding this quotation in their historical documents for this area that corroborated what it was. I'll tell you something else, folks, I forgot about the magnetic properties of meteorites. I had these sitting next to my computer while I measured and priced them, and lost LOTS of programs from my computer as a result! DO NOT put these specimens next to electronic equipment, okay?? $11 ea. You get exactly what you see in the photo. Brenham is a pallasite meteorite found near Haviland, a small town between Wichita and Dodge City in Kansas. Pallasites are a type of stony–iron meteorite that when cut and polished show yellowish olivine (peridot) crystals. TWO in a 5-1/2" long x 4-1/2" wide x 3/4" tall Riker box. I just wanted to send you a picture of my kiddo, thoroughly happy with all the things you sent! He especially loved the shark teeth and meterorite pieces and has a big grin on his face for this pic! Thanks again for all of your wonderful customer service, help, care and speed in which we received everything. Hope you are having as wonderful a Christmas as my little guy is today!